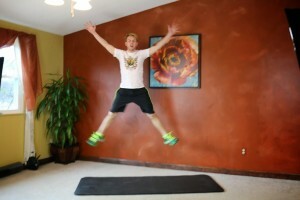 Jesse is back with a brand new Boot Camp Workout! This is a full body workout, with fat burning cardio bursts to keep your heart rate up throughout the workout. 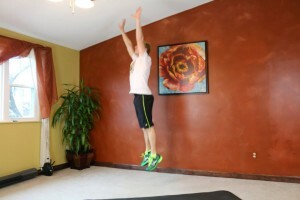 Our Boot Camp class found this routine challenging, and I hope you do too! Remember, with all interval workouts the goal is to get in your maximum number of repetitions during each round. 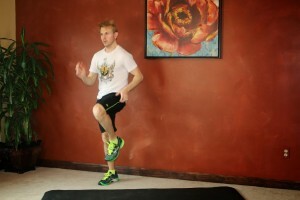 Intervals allow you to work at your own pace, and find the push that is right for your body. You want to get your heart rate up, increase the rate of your breathing, and work up a sweat! This week I have been increasing my running mileage and transitioning back to East Coast time & an early morning work schedule. I stuck to running the last two days, but I will be filming a new workout tomorrow. I will also be writing about the Beginner Running Schedule I created for Rose from MyChangeforaTen.com, and my own running schedule as I re-incorporate it back into my routine. 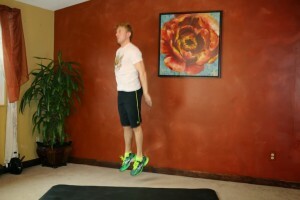 In the mean time try this workout and check out my BodyRock Bootcamp Week 2 Workout Schedule. I hope you all enjoy Jesse & his workout! He certainly kept me entertained while I was filming him! Omg this was so much fun and very sweaty indeed!! Lol I was cracking up at the hair flip part haha! Thanks for another great workout! Perfect! I just tweaked a little bit…I only did the Side V-ups on exercises 5 & 9 and then added the Hip Drops at the end of the workout. So it was Sweaty 18 for me. Really loved this one. Went through 3 times and cried just a little bit right about at the Lunge Jumps on the 3rd set. No, but I love Maryland. 🙂 I’m from Pennsylvania.